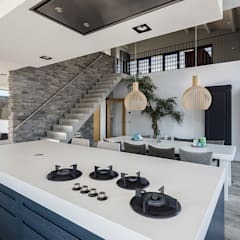 How to design a Mediterranean kitchen? 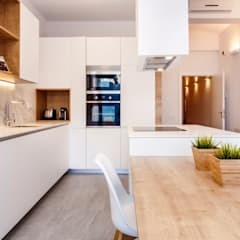 Mediterranean kitchens tend to be a spacious and square shaped room. The older kitchens of the Mediterranean buildings occupied the ground floor level and were generally built slightly apart from the other areas of the house. This is no longer convenient for the modern homeowners. 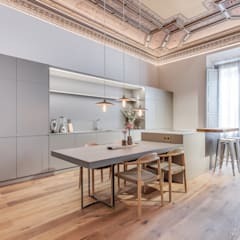 Scarcity of space in the modern buildings forces them to design a cosier home than the erstwhile residential buildings of the Mediterranean region. 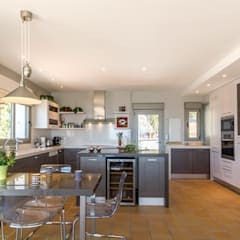 While planning the interior of a Mediterranean kitchen, create an impact using the specialties of the existing architecture. Features like rustic walls, exposed beams and pillars should be kept in the centre of attention instead of hiding them behind faux wall partitions and ceiling. 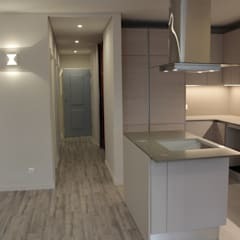 Try to design a functional and elegant space. Make use of your classical furniture and decorate the room in style. 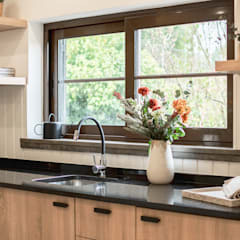 Install glass panelled French windows or casement windows. This will allow ample amount of natural light in the interiors and help you maintain a hygienic space. Build arched doorways and windows. 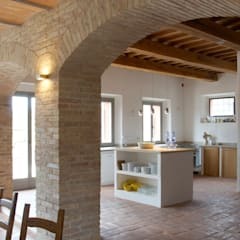 Kitchens with high vaulted ceilings are specialties of the Tuscan region. But if you don’t have this feature already in your kitchen, then it might be difficult for you to add one later. 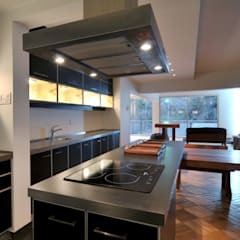 However, while designing a kitchen from scratch you may consider introducing this feature. Your architect will help you with the design of the ceiling. Build direct access to the cellar in the basement, if you have any. Mediterranean rooms have direct access to the patio or solarium in the centre of the building as well. Your kitchen should also have an access to the patio or balcony of your home. You may design an outdoor dining and entertainment area in this space and arrange small parties with the friends and family members from time to time. 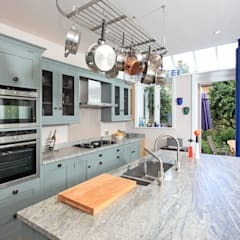 What materials to choose for building a Mediterranean kitchen? 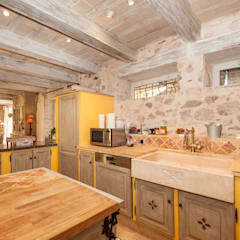 Mediterranean kitchens are designed with a combination of stone, terracotta, brick and natural wood. Stone flooring keeps the ambience of the interior cool during the summer months. You may choose between sandstone, marble and travertine tiles. Quartz looks great on a kitchen countertop. As a material, stone is extremely durable, stylish and water repellent. 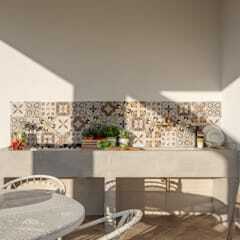 You may also use stone tiles or mosaic tiles to decorate the backsplash. Wood is almost an automatic choice in any traditional structure and the Mediterranean homes are no different in this regard. Choose wood types with a dark hue like walnut, cherrywood, chestnut, hickory or maple to design the furniture and the wall panels. 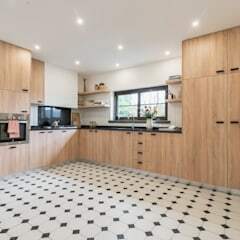 You may use wood to build parquet flooring in your kitchen. However, seek help of professional floor installers for a flawless job. Otherwise, your sub flooring area may get damaged by moisture seeped through the gaps of the wooden tiles. 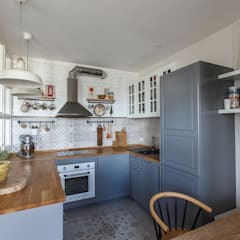 Terracotta tiles are highly coveted in the interior of a Mediterranean kitchen. 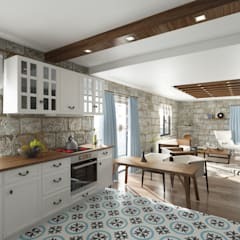 You may use this type of tiles to design the flooring and decorate the kitchen walls. 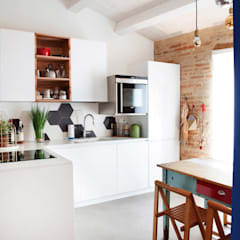 Another alternative is to use colourful ceramic tiles in this space. 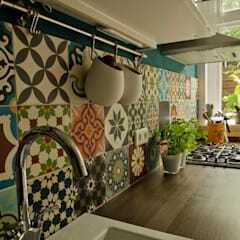 For a Spanish Hacienda style Mediterranean kitchen, go for ceramic tiles with arabesque motifs. 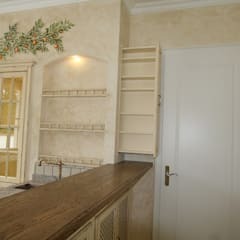 Using stucco to decorate the walls would be another way of inducing the Mediterranean charm in your kitchen. You may go for floral motifs to deck up the walls or opt for abstract stucco wall décor. Avoid using any kind of window treatments. They will only inhibit the flow of light. If you must have window treatments for the sake of privacy, consider buying easy to maintain curtains or blinds. Buy cotton, linen or polyester curtain fabric that is easy to maintain. You may buy curtain fabric with vintage floral motifs. But avoid heavily embroidered textiles in damask or satin. Wooden blinds looks gorgeous in a space like this. While buying fabric to design the covers of the chairs, stools, benches and cushions choose fabric similar to the curtains. 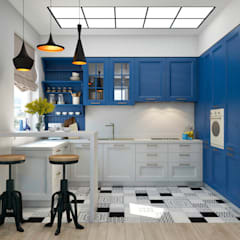 It is possible to design a Mediterranean kitchen by spending about $150 CAD per square foot. 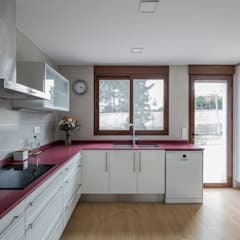 What furniture to buy for my Mediterranean kitchen in Canada? 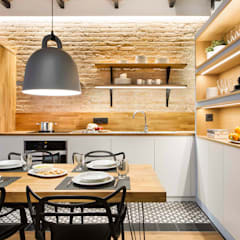 The planners of modern Mediterranean kitchens may encourage you to choose built in cabinetry made of wood. 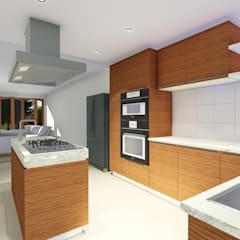 Built in cabinets boast of a cleaner look and are naturally more organised. 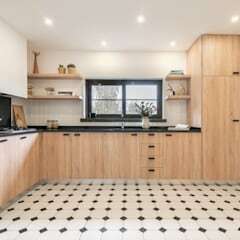 They help you optimise the storage area of your kitchen. 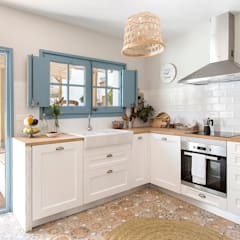 If the baking area is built away from the cooking space in true traditional Mediterranean fashion, then buy separate storage cabinet for that area. 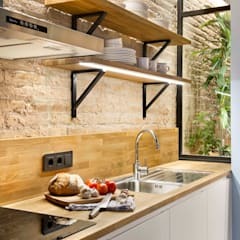 Install floating shelves on the empty walls. 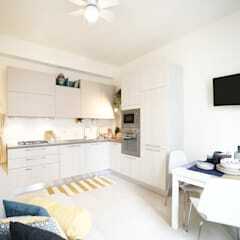 They will help you to store away small kitchen items, crockery and the jars of spices and condiments. 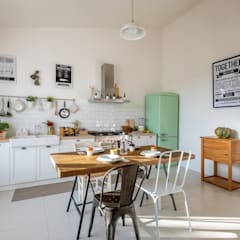 Convert one of the empty corners of the room into a small breakfast or dining space. You may place a couple of modish wooden benches on either side of a wooden table. Alternatively, you may use the area close to the windows and design a small dining booth in line with the modern trattorias of Italy. 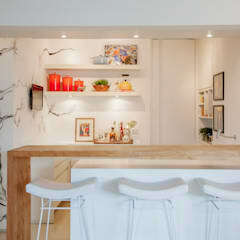 If you have a spacious kitchen island then you may transform a part of it into a bar counter. Buy a few bar stools and place them close to the counter. Classical swivel bar stools would look gorgeous in a setting like this. You may also buy simple wrought iron stools with wooden seats. 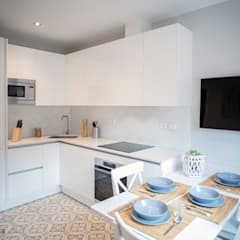 What colour scheme is suitable for a Mediterranean kitchen? 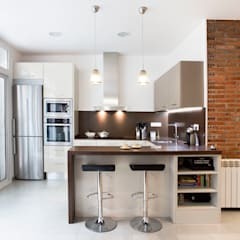 Select earthly tones like brown and beige to decorate the interior of your Mediterranean kitchen. 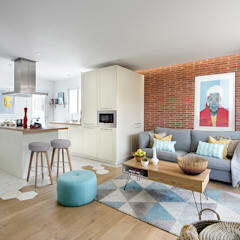 A colour scheme dominated by shades or mild orange, yellow and creamy white also looks chic in this space. Mediterranean kitchens of Santorini and other nearby islands of Greece are painted in white. It is accentuated with the shades of oceanic blue. Unique colour and texture of wooden furniture, wall panels and flooring will help you induce a warm feeling in the interior atmosphere.